Thanks to urbanization, population growth, and general loss of habitat, animals are finding their way into our homes more and more. It’s unfortunate, but even more it can be dangerous for both you and the critter. When an unwanted animal or animals are in your home, they should be removed promptly and safely. Trapped animals are often scared to the point of hostility, even if they are normally gentle creatures. 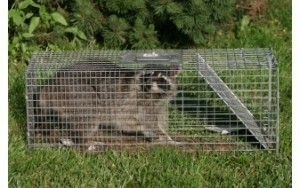 Animal removal requires specialized training and equipment which is why we do not recommend removing them on your own. The technicians at Critter Control are highly trained and have been working since 1983 to provide humane and environmentally friendly animal removal services. We’ll start with a free Animal Entry Home Inspection, where our specialists will assess the problem. From there, we’ll quickly and safely remove the animal. Afterwards, we’ll ensure the animal or animals can’t enter again by sealing their entrance points. Our goals are simple: we want to keep Tampa homes free of unwanted critters, abide by Florida laws where they pertain to animals and pests, and provide humane removal practices to the community. If you have an unwanted animal or animals in your home, give us a call today at 813-948-0870 to set up your free Animal Entry Home Inspection.